OKLAHOMA CITY, Okla. -- May 27, 2015 -- Northrop Grumman Corporation (NYSE:NOC) has successfully demonstrated to the U.S. Air Force that its plans to upgrade key weapons management software for the B-2 stealth bomber are on track and ready to proceed to the next level of development. The company successfully completed the critical design review (CDR) of the service's Flexible Strike Phase 1 program on Feb 3. 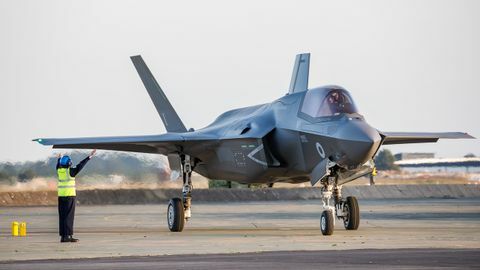 Air Force approval of the CDR authorizes Northrop Grumman to begin development and integration of the new software and hardware required for the upgrade. Northrop Grumman is the Air Force's prime contractor for the B-2, one of the most powerful and survivable long range strike systems in the world. 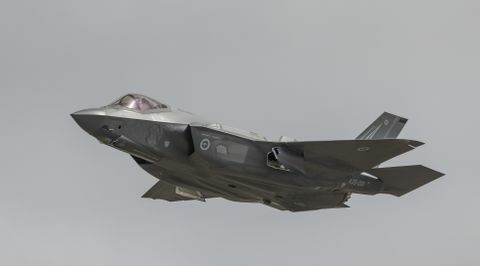 "The Flexible Strike software upgrade lays the foundation for future system enhancements, including the ability to carry multiple weapon types," said Col. Robert Strasser, U.S. Air Force, B-2 system program manager and chief of the B-2 division of the Air Force's Fighters and Bombers Directorate. "This 'mixed loads' capability will ensure maximum strategic nuclear and conventional strike capability." CDR is a key review point in a three-year, $102 million contract awarded to Northrop Grumman in Aug. 2014. The contract covers the engineering and manufacturing development (EMD) portion of the Flexible Strike Phase 1 program. "The Flexible Strike software upgrade program will give the B-2 a simpler, more powerful way to manage communications with its weapon systems," said Dave Mazur, vice president and B-2 program manager, Northrop Grumman Aerospace Systems. "It will also reduce B-2 maintenance costs, increase mission flexibility and increase aircraft reliability." The B-2 currently uses software called an operational flight program (OFP) to manage the communication between the jet and the hardware that holds and dispenses its weapons. 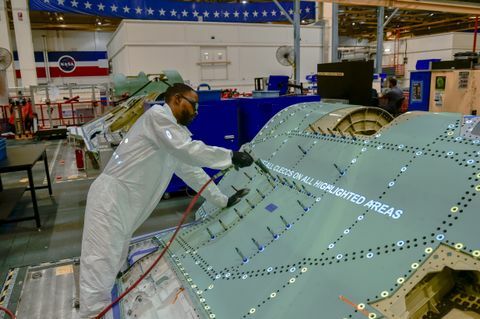 Under its EMD contract, Northrop Grumman is replacing several mission-specific OFPs with a single OFP that can manage all of the B-2's weapons carriage devices.